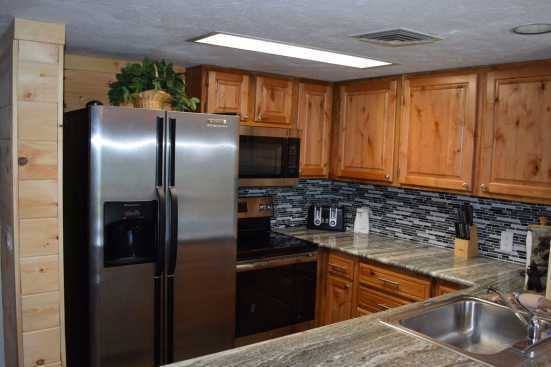 Welcome to Gatlinburg Village Condos, located just outside of downtown Gatlinburg and in proximity to the world-renowned Smoky Mountain National Park. The condos are between two and three bedrooms and can accommodate up to six adults comfortably. Amenities include outdoor patio or balcony for taking in nature views, gas fireplace, outdoor large hot tub, and proximity to golf courses in the area. Village Condos are only roughly ten minutes away from the heart of Gatlinburg where the opportunities for adventure and relaxation are limitless. For vacationers looking for a unique experience in Gatlinburg consider trying out The Captured. (A live escape experience) Guest at The Captured will play interactive games as they navigate through mazes and are trapped in rooms trying to escape. Not for the faint of heart but a great adrenaline rough for thrill seekers! If exploring nature and relaxation is more your style head fifteen minutes up the road to Smoky Mountain National Park. The park boasts breathtaking mountaintop views along with an array of guided tours into hidden locations. Guest will also have the option to take a guided white-water rafting tour or try to catch some freshwater fish in Smoky Mountain National Park. SmokyMountainsByOwners.com is the latest and greatest site for all your planning and booking Gatlinburg vacation needs. From thrill seekers trying to escape The Captured experience to leisurely tourist trying to soak in the breathtaking wildlife and wilderness fun and adventure are sure to be found for groups of all ages in Gatlinburg and the surrounding areas. SMBYO.com takes the stress of booking a vacation out of the guest hands so all they must worry about is whether they want to explore the Smokies or Gatlinburg first. Book now, you won’t regret it! Eagles View, AMAZING MOUNTAIN VIEWS!